LAP Engineering Limited - Lee Penn, Race Car Engineering and Electronics. Suppliers of Motec and Geartronics products. 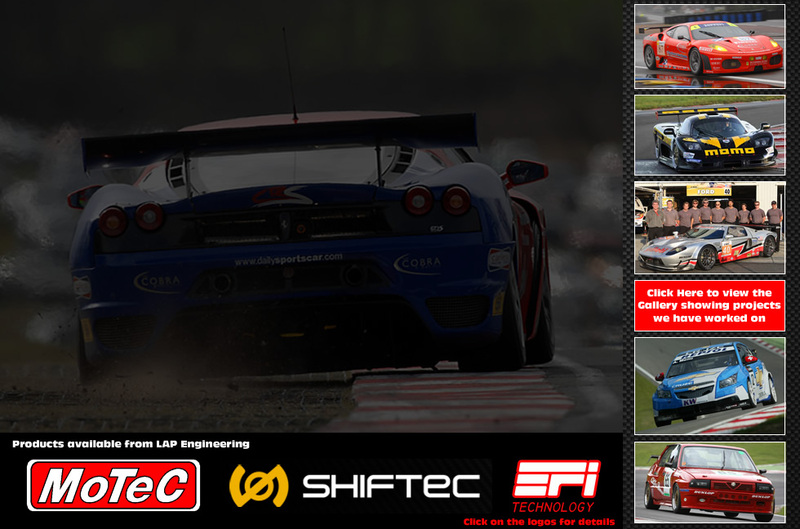 LAP Engineering Ltd has been supplying clients with motor sport and road cars with electronic systems and race car engineering solutions for over 15 years. Our speciality services includes the supply of engine management systems, designing & building complete engine control systems, paddle shift gear systems and data acquisition systems. 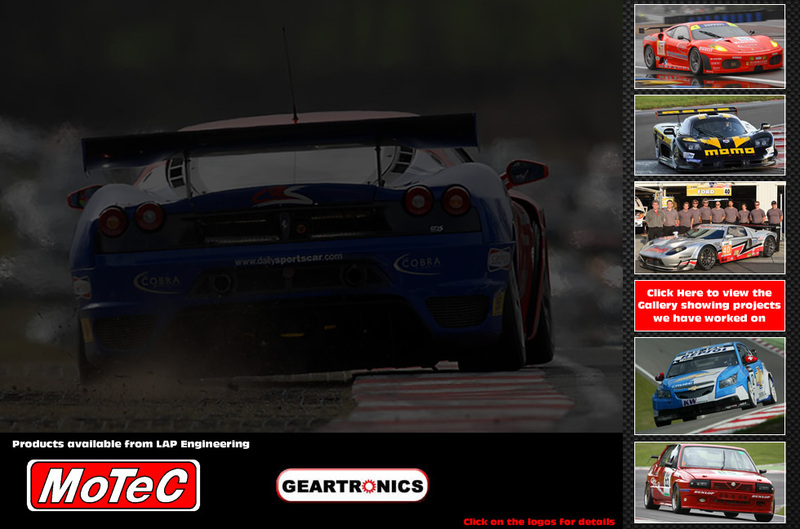 We also offer track support and calibration through to chassis set up & race car engineering. Our vast experience includes replacement ECU’s for fast road cars through to the design of complete control systems for professional motor sport teams. Our designs can be tailored to suit club motorsport through to the Le Mans 24 hours. We also supply race car engineering solutions for teams competing in World Touring Cars, British GT, FIA GT, American Le Mans Series, European Le Mans series & the Le Mans 24. These solutions also embrace many UK club championships as well as working with manufacturers such as Mosler, Chevrolet, Saleen, Ferrari & Porsche. So what ever your requirements, our experience enables us to understand our customers needs and requirements from club motor sport through to professional teams and manufacturers. We offer the best possible advice & support backed up by our knowledge & experience.